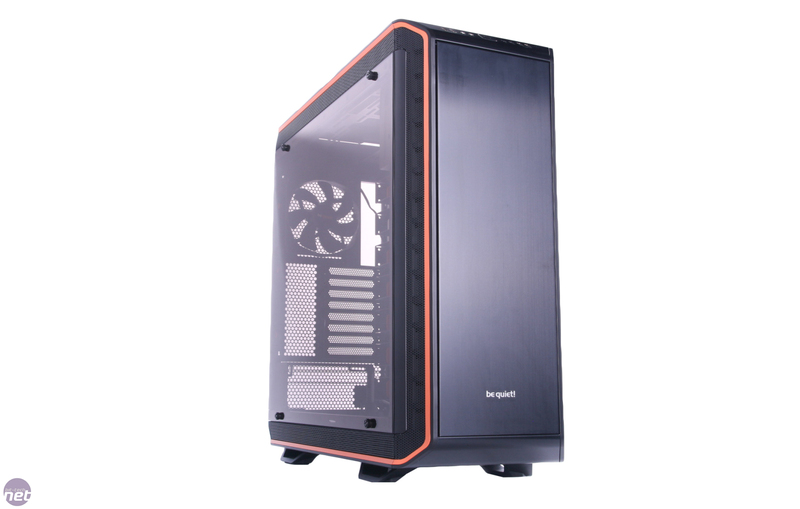 What does a modular case actually look like? 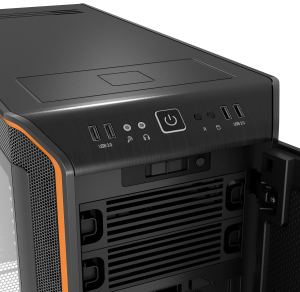 What does modular actually mean when it comes to PC cases anyway? These questions are what Be Quiet! 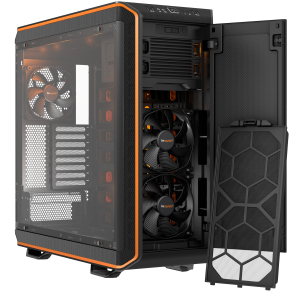 was looking to answer with the Dark Base Pro 900, the company's most ambitious and most expensive case so far. 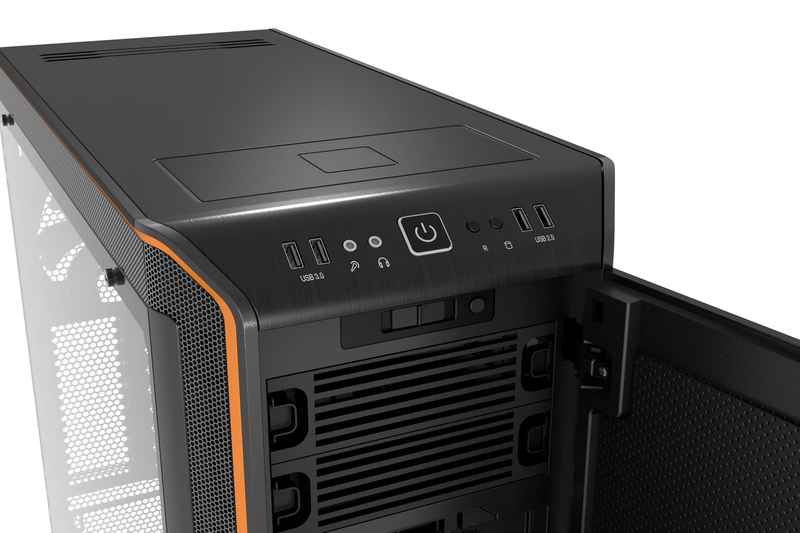 Practically everything on the inside is moveable and removable - the motherboard tray, the hard disk mounts, the 5.25in mounts - we shudder even imagining how tricky the design process was. 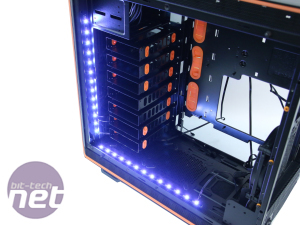 So why do you need a modular case anyway? Well, this can be tricky to answer generally and is more case-specific. 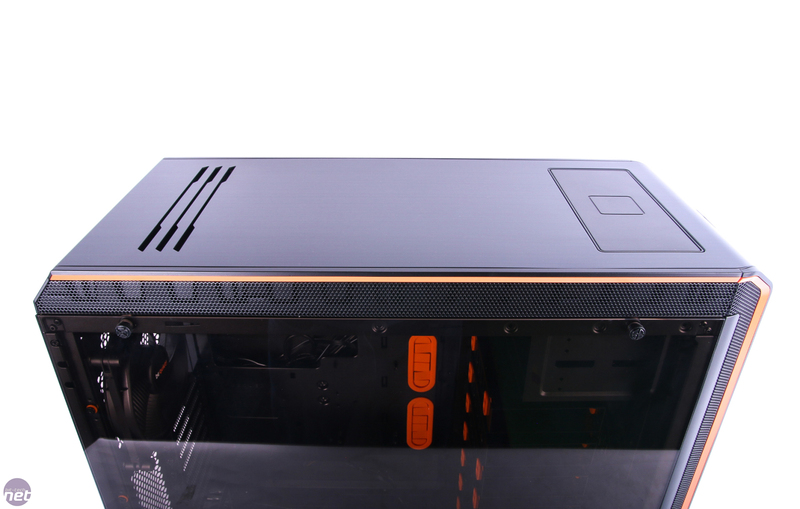 The Dark Base Pro 900 allows you to raise the entire motherboard tray up and down and even switch sides, moving from an ATX layout to inverted ATX. 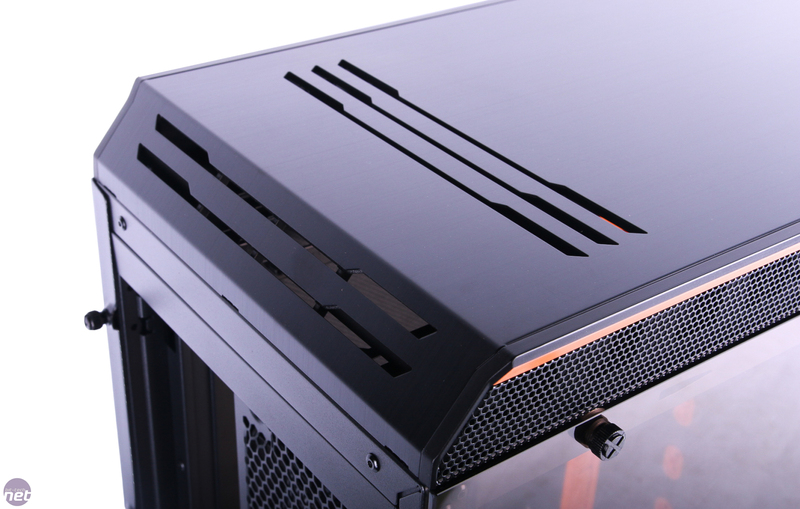 This gives several benefits: you can extend the space around the motherboard tray so there's room for E-ATX motherboards; dropping the motherboard down or using the inverted mode gives much more space in the roof for water-cooling radiators and dropping the location of the CPU cooler to the base of the chassis (or even the middle of the chassis in ATX mode) can improve cooling too - especially as the Pro 900's included front fans will be pointing at it here. Aside from these various points, though, the ability to customise the chassis to this extent is simply 'cool' from an enthusiast's point of view. 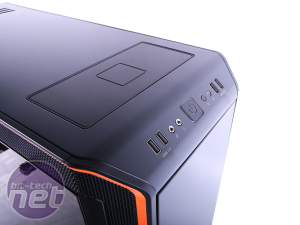 It doesn't stop there, though, as the hard disk mounting system, which sports seven 3.5in, anti-vibration mounts that can also cater for double that amount in SSDs, is switchable (it provides support to the motherboard) and the drive mounts themselves can be removed too, as can the two 5.25in external bays at the top. 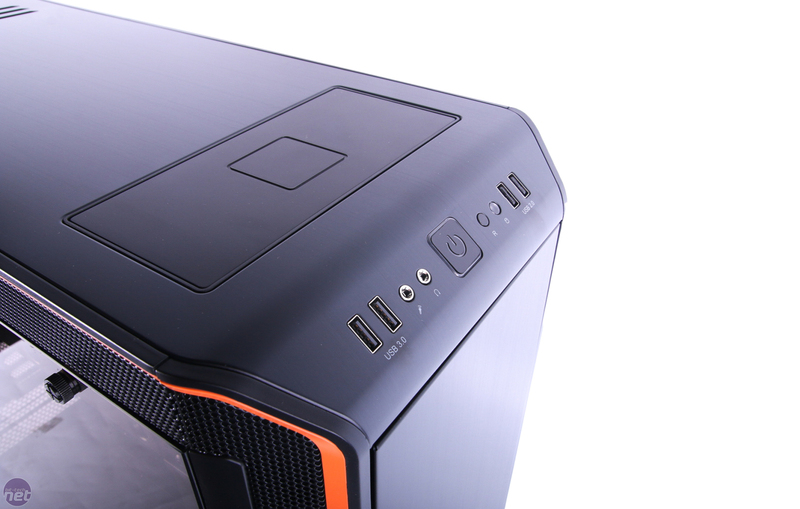 All this means other aspects of the case have needed to be factored in to what needs to be adjustable or moveable. 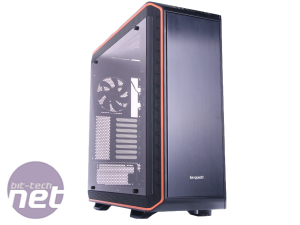 This being the Pro version, it includes a swanky tempered glass side panel - but only one, so its mounts need to be moved to the other side of the case should you switch from ATX to inverted ATX. It must have been something of a nightmare to design and this is factored into the price. 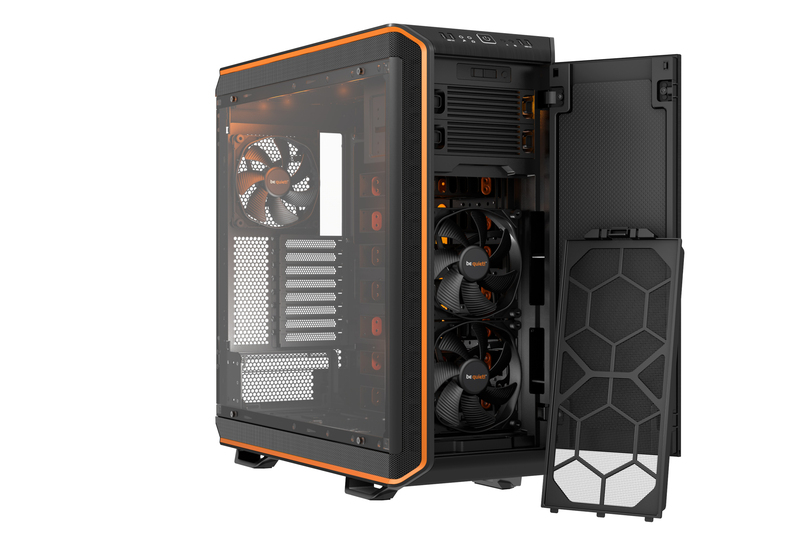 At over £200 this is one pricey case, but thankfully it does include an absolute mass of features to justify this, in addition to the tempered glass side panel and aluminium exterior. 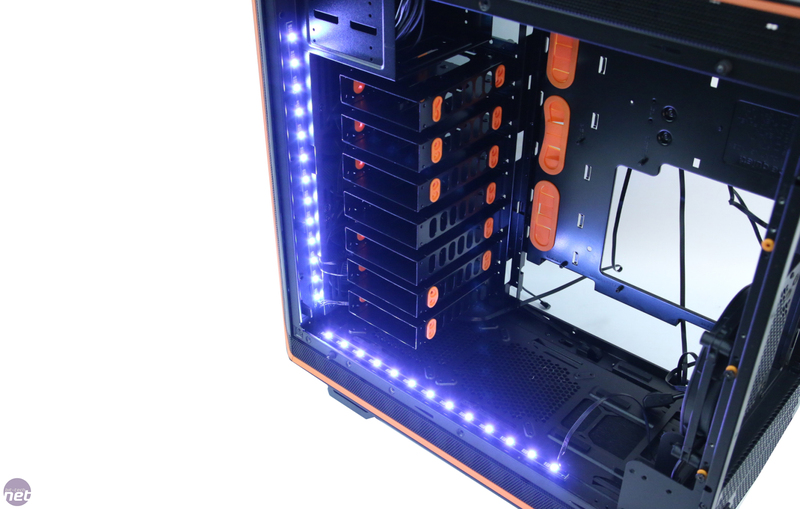 You get a removable pump mount, additional fan mount that can sit in place of the two 5.25in bays and there are even two multi-colour LED strips included with a built-in colour control module too. 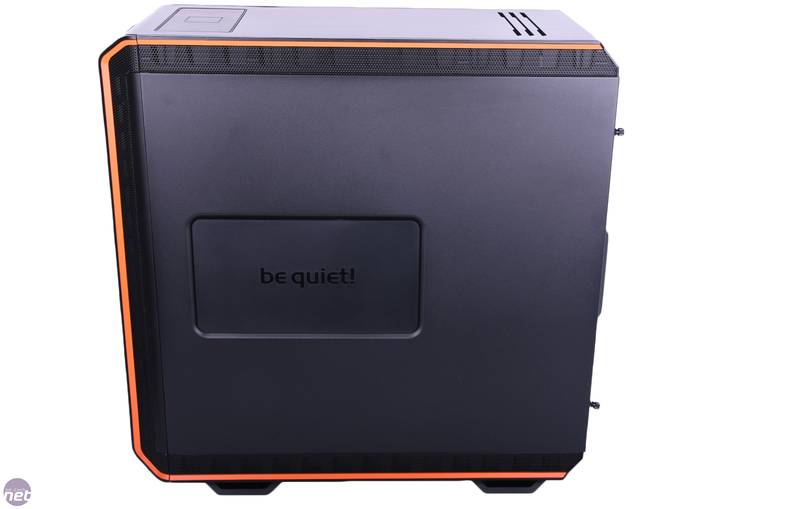 Three super-quiet SilentWings 3 PWM fans are bundled with the case as well, and these, plus a bunch of other fans of your choosing, can be hooked up to an eight-channel PWM-enabled fan hub, which can also be manually controlled between 5V and 12V using a slider behind the front door. 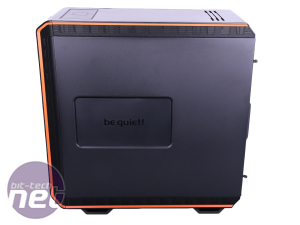 There's also a smattering of noise-absorbing foam behind the front panel and as you'd expect, the case is bristling with dust filters, with a monstrous one sliding underneath the whole case and catering for the PSU. 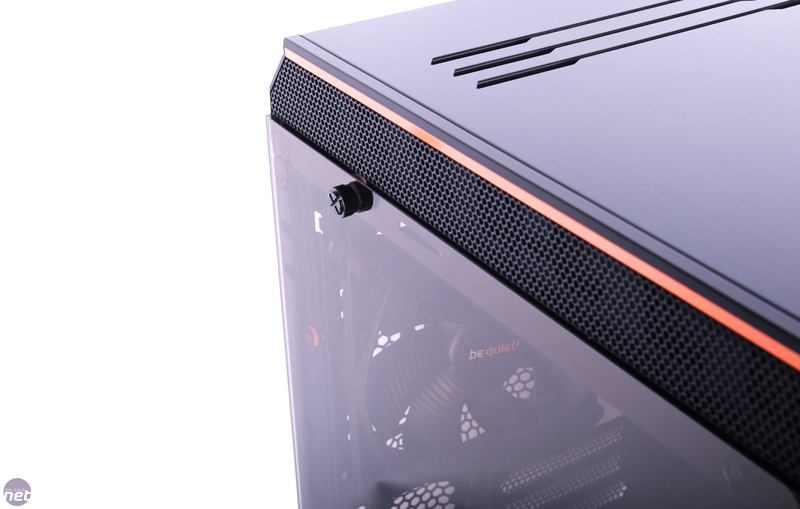 At first, the position of the PSU seems odd - it's displaced from the rear panel by an inch or two and an extension cable is used, just as you might see in a case that places the PSU at the front of the chassis. 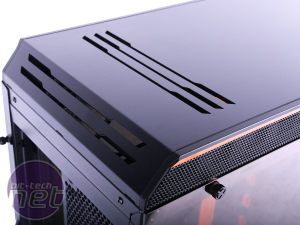 The reason for this is to allow the rear PCI slot plate to drop down behind the PSU, with removable vents here plugging the gaps as you move the motherboard back up. 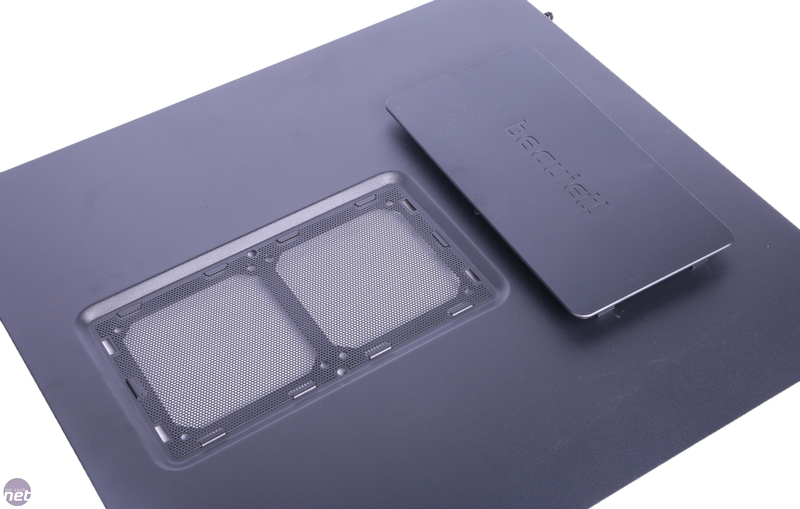 While USB 3.1 Type-C isn't present, there's perhaps a much more useful feature - at least in the short term, which is a QI wireless charging pad for compatible devices such as certain smartphones, and this sits behind the front panel ports. 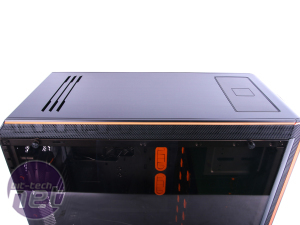 The ports themselves are fairly standard (two USB 3.0 and two USB 2.0), plus the usual audio jacks and power and reset buttons. The exterior does raise concerns over cooling and airflow, though, as there's a lack of vents, especially in the roof, and any air being drawn in at the front or expelled at the rear will be hampered by having to bend at 90 degrees through the side vents. That said, this is done deliberately by Be Quiet! 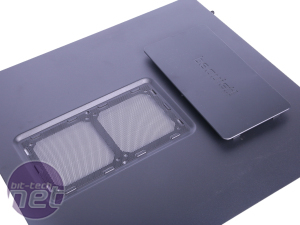 to deflect noise caused by airflow, so we'll have to see how well the case cools before judging too harshly. 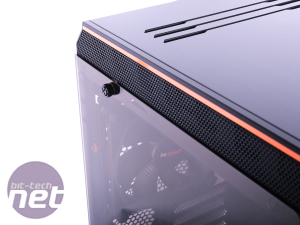 It's perhaps a little more porous than some of Phanteks' efforts too, many of which beg for better vents, especially in the roof, but you can't have a super-sleek design and have top-notch, unrestricted ventilation.